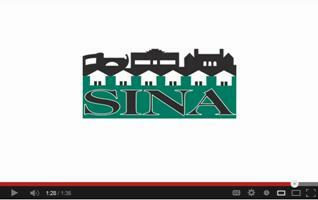 2012 was a year of change and growth for Southside Institutions Neighborhood Alliance (SINA). We continued to excel in our mission by working cooperatively with the community to improve Hartford’s Southside neighborhoods. Key to neighborhood improvement was the development of affordable housing. 2012 brought the completion of ten two-family homes on Colonial Street and the start of two building rehabilitation on Wolcott Street. These homes are available to first-time homebuyers, complete with modern amenities and a unit for the owner and one for the renter. Our commitment to recognizing academic achievement continued with the sponsorship of the 21st Annual Citywide Science Fair. On May 29, we recognized the accomplishments of Hartford residents at the 6th Annual REACH Awards ceremony, presenting four Academic Scholarships, three Neighborhood Service Awards and an Institutional Award. The most significant change of 2012 was the transition of Executive Directors. 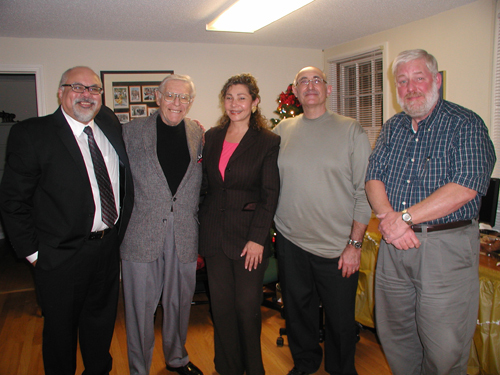 We bid farewell to retiring Executive Director Luis Cabán and welcomed in Melvyn Colón. SINA was ably managed during the transition between executive directors thanks to the commitment of its board and especially its executive committee and the work of the interim executive director Cathy Cohen. The members of the executive committee are Jane Baird, President of the Board, Paul Mutone, Treasurer and Yvette Melendez, Secretary. To celebrate the accomplishments of the year and the holiday season, the SINA Board and staff hosted a holiday gathering. 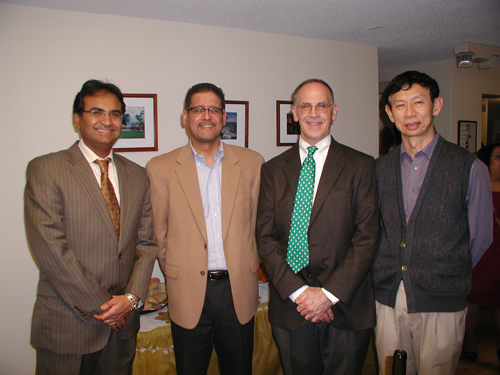 Held at the SINA office on December 20, the event gave the SINA staff an opportunity to socialize with the community and introduce the neighborhood to new Executive Director Melvyn Colón.